I told you it was going to be an awesome release week and I was not lying! I have another awesome brand new CAS-ual Fridays Stamp set and Fri-dies set to share with you today! This Hanukkah set makes me so happy! I absolutely love the bold lettering and the details just make this set awesome! The dies allow you to do so much, too! You can see the complete stamp set and the dies over on the CAS-ual Fridays Stamps Blog! I used my Hero Arts Ombre ink pads for the lettering and the flames. I have to admit, I thought those were kind of silly and I didn't buy them until I was able to get a super good deal and now I think I am in love. Figures. HA! I certainly love how they work with these awesome stamps!!! 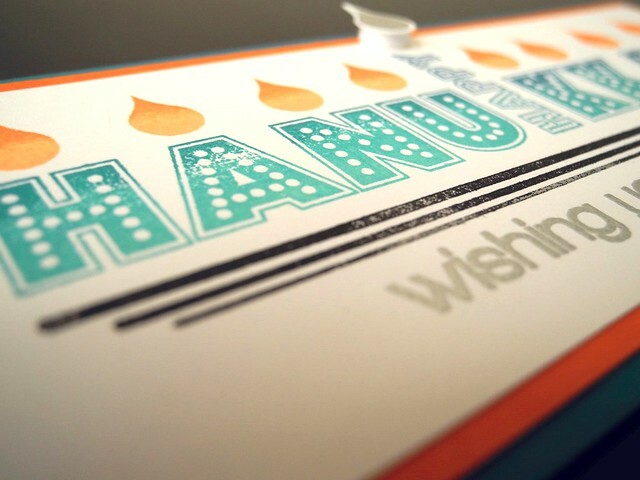 I stamped and embossed the center flame and die cut it so I could pop it up a bit over the top of the card design. Be sure to leave a comment here and then head on over to the CAS-ual Fridays Stamps blog to see the AMAZING cards the rest of the team has created and to find out how you can win a $25 Gift Certificate to the CAS-ual Fridays Stamps Store! Woot! Woot!!! Such a pretty card! Love the fun design and colors! Fabulous! And BTW, I feel the same about the ombré pads. Now that I have a few, I find I use them a LOT! 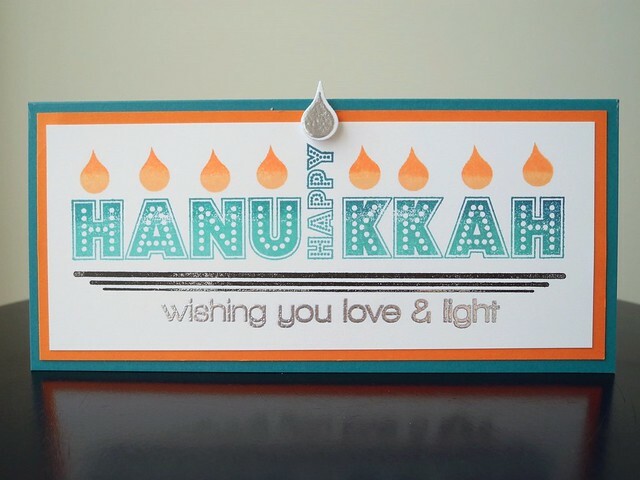 Oh I love that you changed the shape of the card, and incorporated orange for your Hanukkah card! A loooong time ago I bought a blue ink pad with 5 different shades arranged from light to dark (like, perhaps 15 years ago). I need to go try it and see what kind of ombre I end up with. Thanks for reminding me!